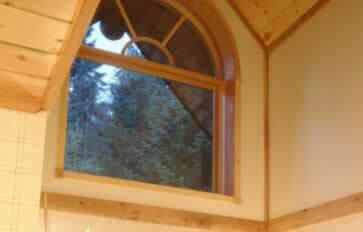 Vinyl clad windows offer the best of both worlds! Vinyl windows on the outside means that you have all the advantages of vinyl windows, including the ease of maintenance, the colors you choose that fit perfect with your home, the fact that they look good without ever needing a drop of paint, and the energy efficiency that comes from having vinyl windows installed throughout your house. However, the wood windows on the interior mean that you have the warm tones of woodwork to enjoy, as well as the versatility of painting the wood any color you choose to match your interior decor. Vinyl clad windows come in double-pane or triple-pane, thus helping to lower your energy bills, too. The versatility of clad windows makes them a popular choice among homeowners, and though the prices for clad windows are a bit higher than that of traditional windows, the advantages are often seen as well worth the money.